Hummer H3 with front-end damage after crash with a fire hydrant on Arlington Heights Road. 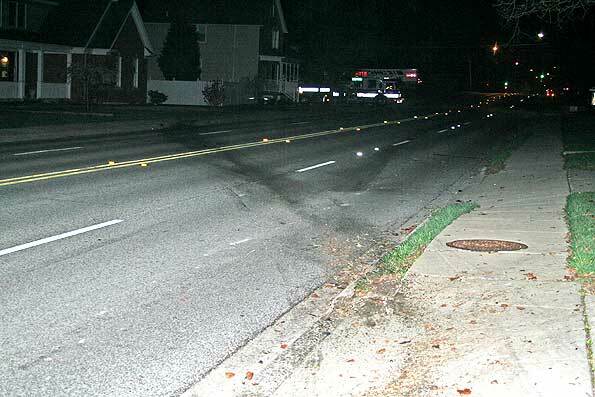 Arlington Heights police responded about 4:23 a.m. Thursday to a report of a hit-and-run crash in the 700 block of North Arlington Heights Road involving an unknown vehicle. Minutes later police received another report that a Hummer H3 was disabled on westbound Euclid Avenue, just west of Arlington Heights Road. Police discovered the vehicle on their own about the same time. 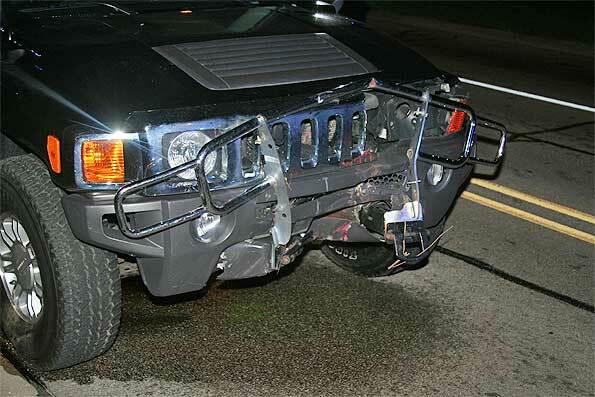 They found a Hummer H3 with moderate-to-heavy front-end damage, a deployed air bag, and no driver. Mud tracks showed the vehicle crossed four lanes of Arlington Heights Road and drove up on to the parkway on the northbound-side parkway after striking the fire hydrant. Mud tracks crossing all four lanes of Arlington Heights Road after crash with fire hydrant. Police setup a K-9 track and followed a track into the south and east side of the Scarsdale neighborhood until the track went cold. The driver was not found. About 5:51 a.m. Thursday police got a report from the wife of the driver of the Hummer, who reported that they were taking their son to the emergency room at Northwest Community Hospital and didn’t have time to stop at that time. No word on whether she said they were traveling in two vehicles or if the wife came and picked up the husband and the son. Arlington Heights police are investigating that report.